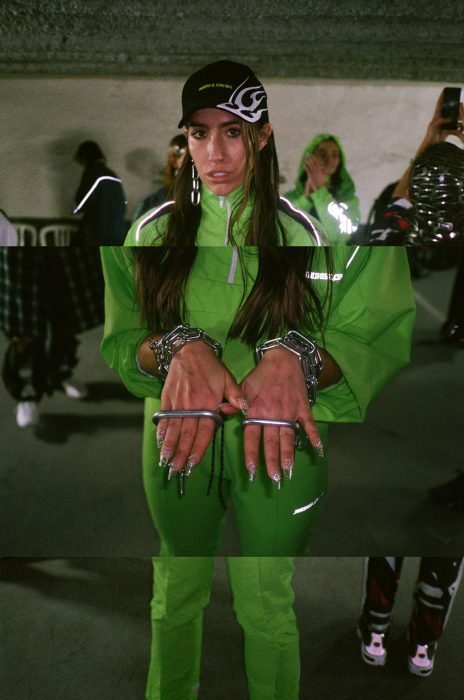 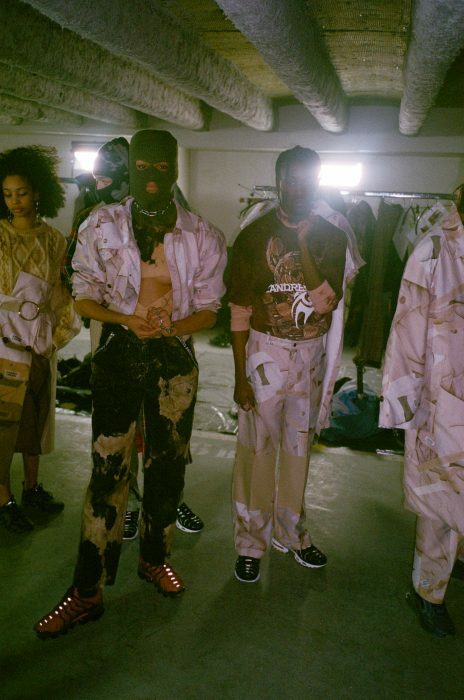 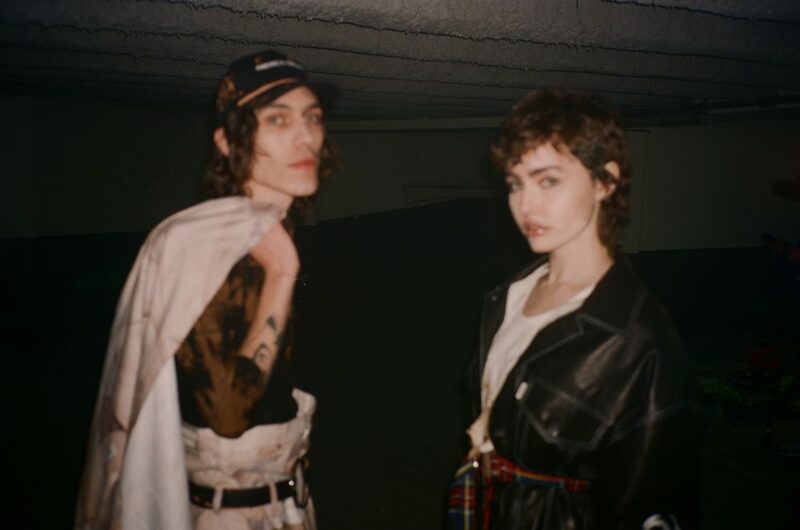 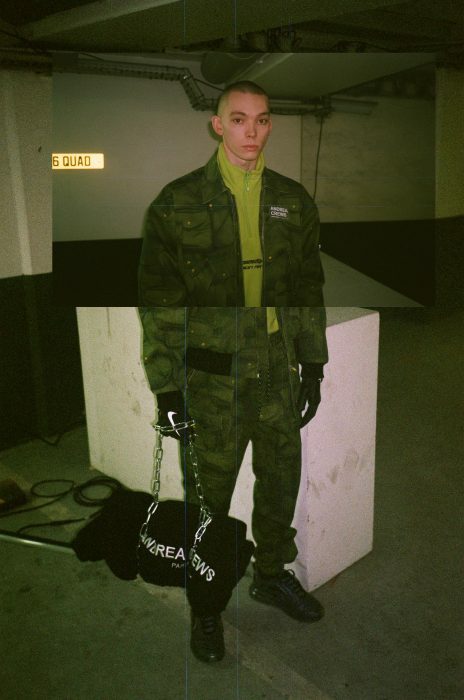 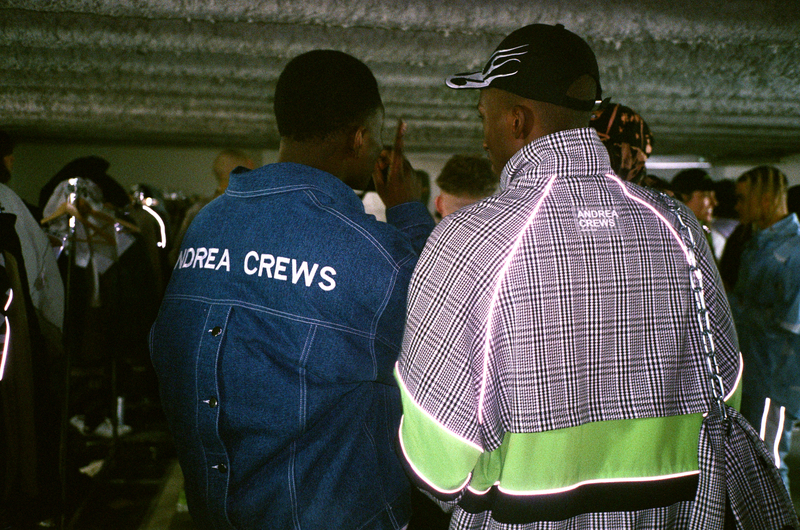 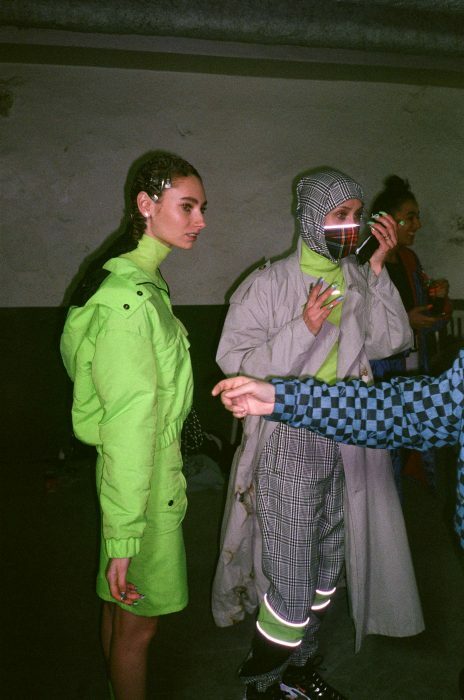 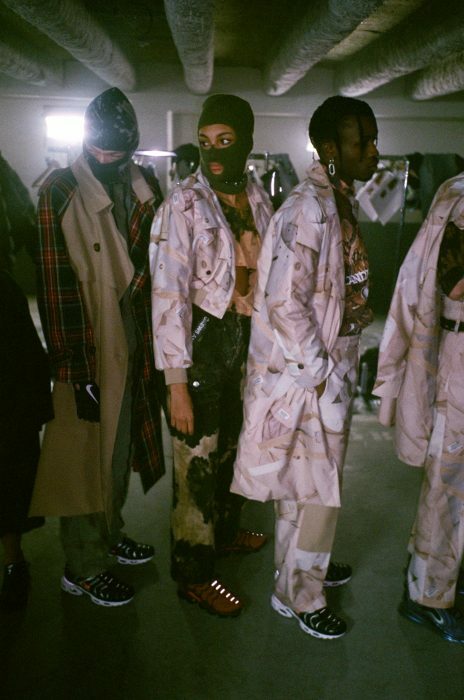 Andrea Crews hijacks the fashion codes thanks to his innovative approach of upcycling and its streetwear couture style. 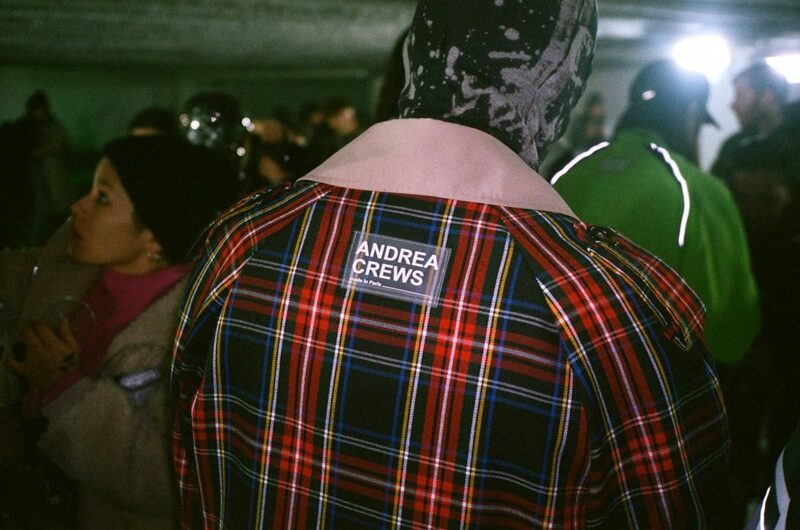 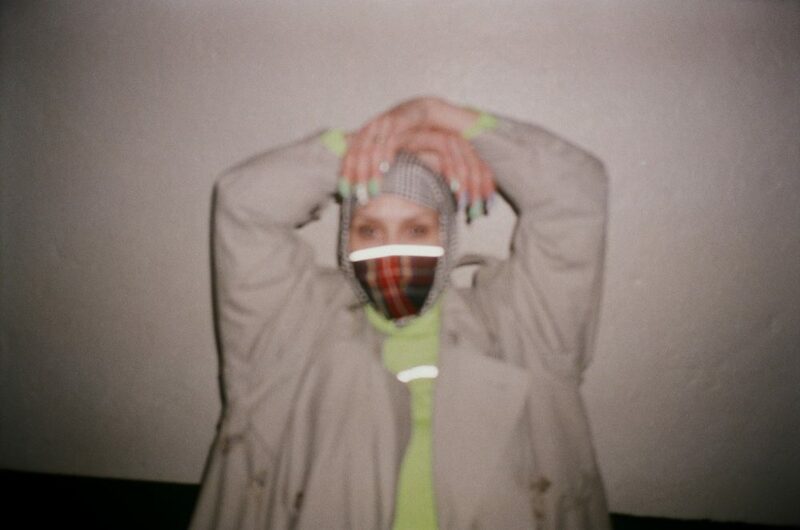 Andrea Crews’s style is oversize, unisex, colored and audacious. 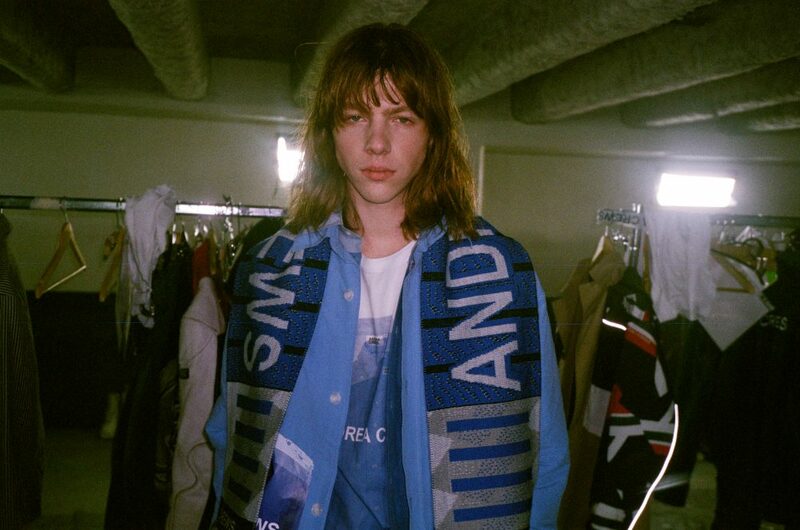 It plays with mixtures of materials and strong prints. 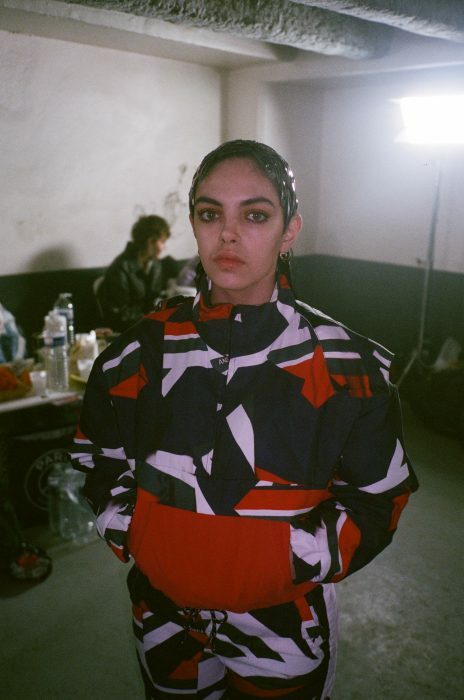 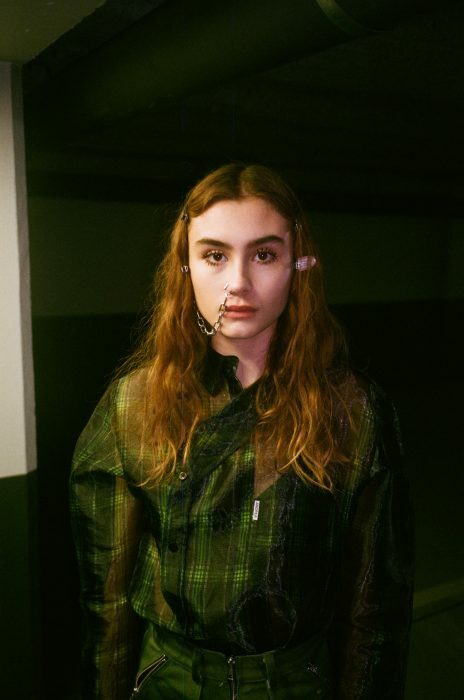 Maroussia Rebecq is the founder and the artistic director of Andrea Crews and give us access to her backstages and some words for her new collection. 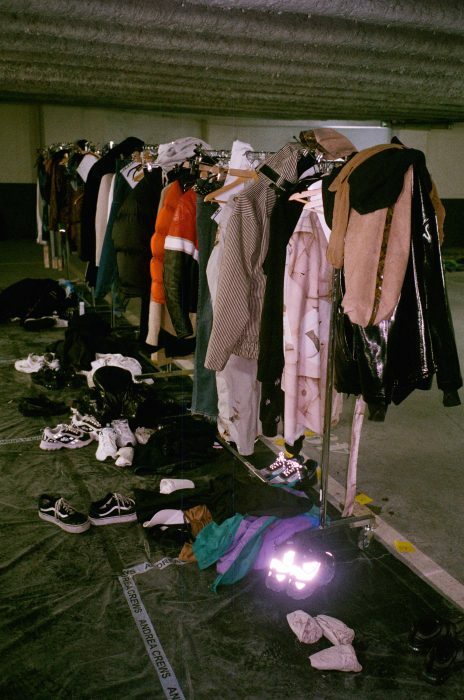 « The idea of this collection was first to retrieve iconic early 2000s pieces for visual upcycling, a mix of the jeans patchwork that Paris Hilton wore and the comme des garçons shirt. 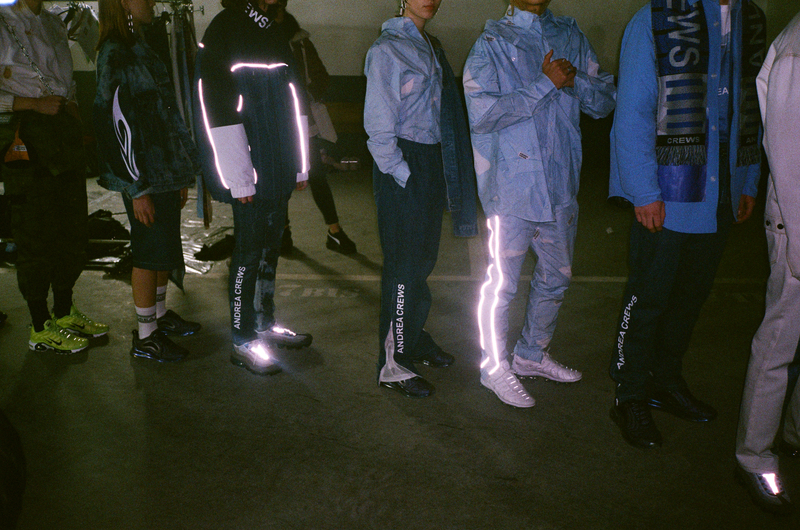 We developed this effect with the cargo pants, the trench, the tracksuit, and the corporate blue shirt. 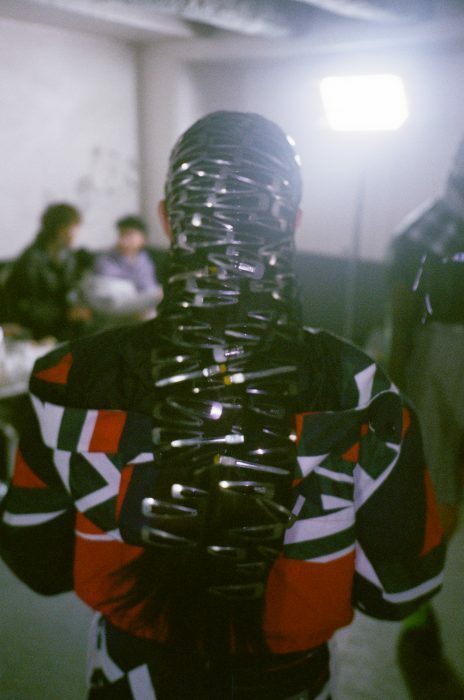 the parts are photocopied multiplied and reprinted on themselves. 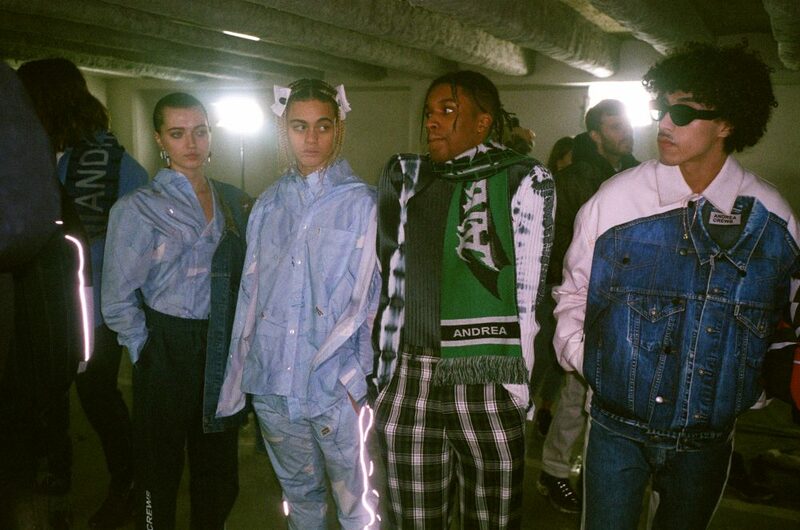 And for the iconic jeans and matching jacket, we have as video projected the ensemble on the ensemble, slowly shifting it, creating the abyss of the piece, and we switch from a vintage and emotional piece to a desirable contemporary one. 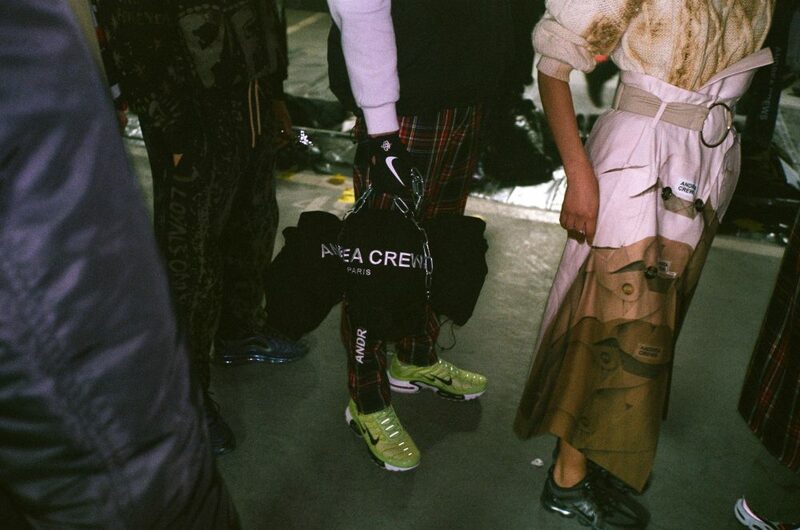 The Prints and colours of the collection are very strong, the volumes slightly enlarged and the details are made sportswear way.